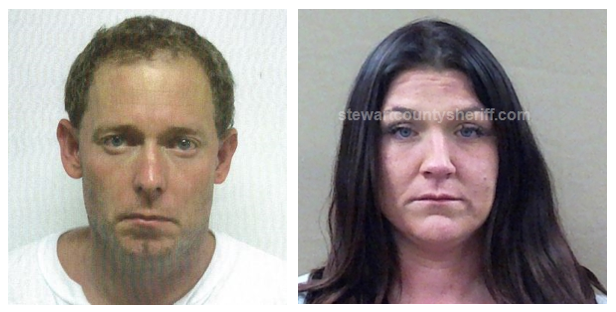 NASHVILLE – An investigation by Special Agents with the Tennessee Bureau of Investigation and investigators with the Stewart County Sheriff’s Office has resulted in the arrest of two individuals on charges related to the search for a TBI Top Ten Most Wanted fugitive last year in Stewart and Montgomery Counties. On September 23rd, at the request of 23rd District Attorney General Ray Crouch, TBI Agents and deputies from the sheriff’s office began investigating a homicide that had occurred that day on Rorie Hollow Road in Indian Mound. During the course of the investigation, Agents developed information that stolen property from that homicide was located at the Woodlawn residence of Derek Summers and Mindy Harris. The investigation further revealed that Kirby Wallace, the subject of a manhunt in that homicide, had been at the couple’s residence sometime after the homicide had occurred.